How are you doing on your New Year’s resolutions? Did you decide to make a budget? Having a hard time sticking to it? Here is a short video that we hope will help. Money is a resource and so is your health. If you lose all your money, you can find a way to earn it back. You cannot always get your health back. 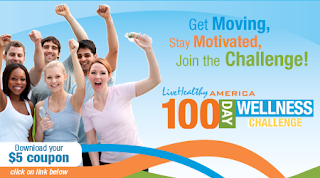 The state of Iowa champions an annual 100 days, live healthy campaign, with the goal to bring together friends, families, businesses and communities in team-based wellness challenges. This promotion for positive lifestyle change is part of Live Healthy America and kicks off January 23, 2012. The goal of Live Healthy America is to provide the tools, resources, and technology to assist individuals, organizations, and corporations in creating a culture of wellness. It has grown to a wellness solution that motivates, educates and empowers organizations to make positive and lasting lifestyle changes to achieve optimal health. All this helps to drive down lifestyle-related health care costs, which benefits you, your family and your employer. Okay, so you have been tracking your expenses and you are getting ready to set your budget based on your values. Now I want you to consider incorporating some values into your budget, such as 100% or 90/10 or 80/10/10. Goal of a budget is to spend less than you have coming in. The old rule of thumb is to save 10% of your income and live on 90%. This is great advice given our economic time and job uncertainty. You should be putting at least 10% of your income into retirement savings, and then you need to have an emergency fund as well. The key to savings is to PAY YOURSELF FIRST! Treat your savings like a bill that you would never miss. With each pay check, transfer money into your savings account. Even if you have other bills to pay, I feel it is important that you save on a regular basis. 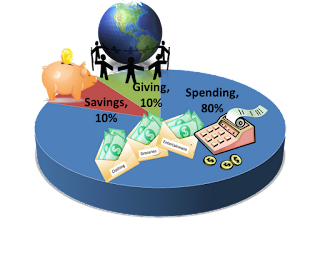 This gets you in the habit of saving, even if not at 10%. 2012 and the New Year’s Resolutions are two weeks old. So how are you doing? Did you make a commitment to finally make and follow a budget? If you did, you are not alone. Budgets seem to be easy to make, but really hard to follow. If this sounds familiar, here are a few pointers that may help you stick to your budget. When you think of budgeting and making a budget, first take a moment to reflect on your values. Money is just a resource and using this resource should be a reflection of what you value. 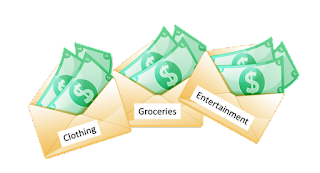 I’ve always thought that if you want to see what people value, look at how and where they spend their money. A budget should allow you to express what you value and help you from running out of money by planning out your known expenses. Tax Time – Withholdings on Target? For the last 10 years I have prepared tax returns on weekends for a couple hundred clients. 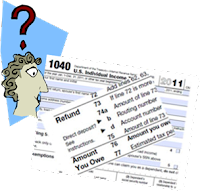 No matter how much income individuals make, they always welcome a tax refund and scorn paying more taxes. The tax refund is like a gift from the government even though it is your money.